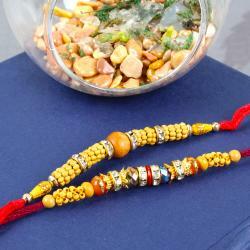 Traditional Rudraksh Rakhi with Fancy Stlye Rakhi Along with Packet of Roli Chawal. 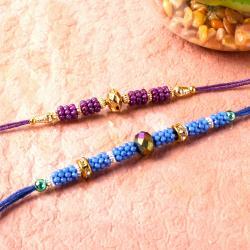 "Rakshabandhan is an amazing festival which is celebrated with full verve each year because it establishes a strong bond of love between brother and sister. 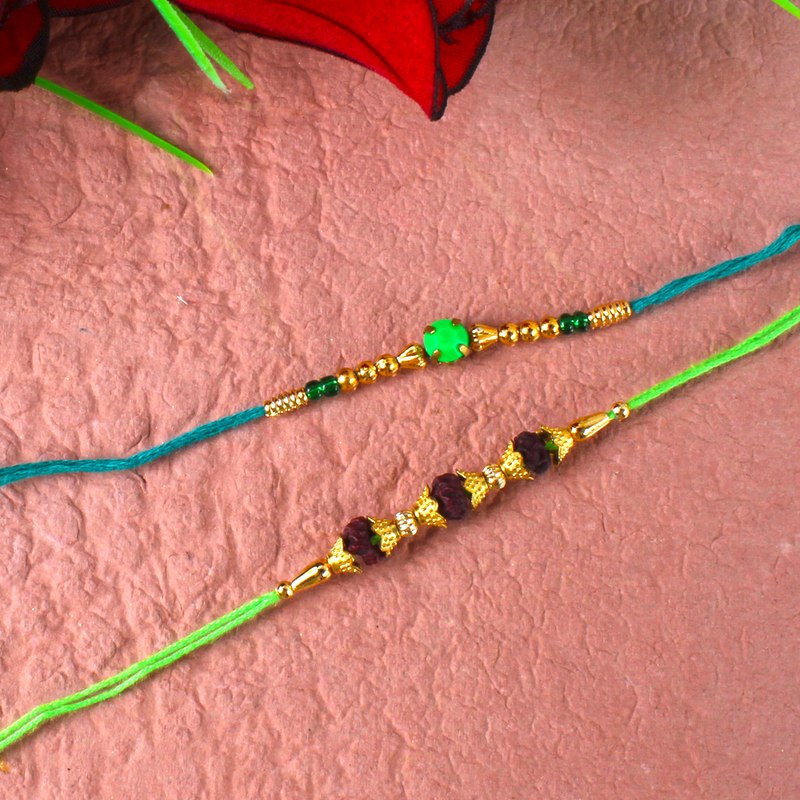 A thread tied on the wrist of a brother is not just a thread but more than it. 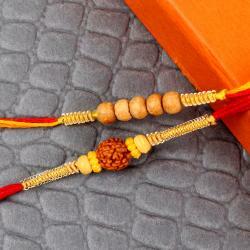 Rudraksha has been using by Hindu people for empowerment, health and opulence. 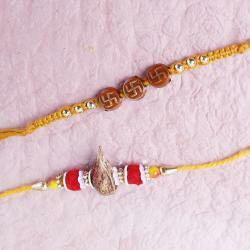 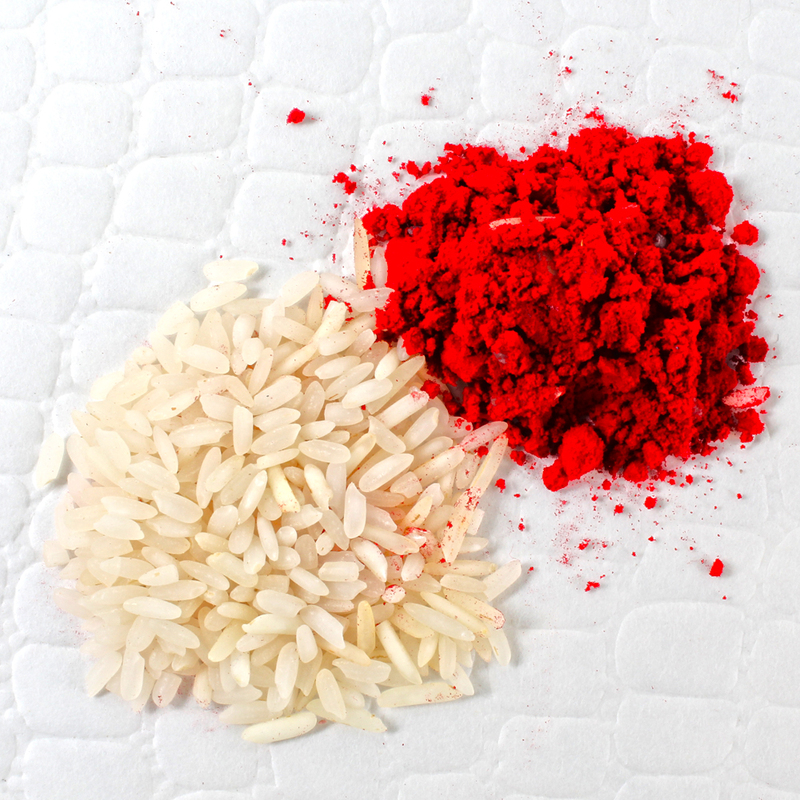 Rakhi of Rudraksha is very precious and it is symbol of pure love and affection. 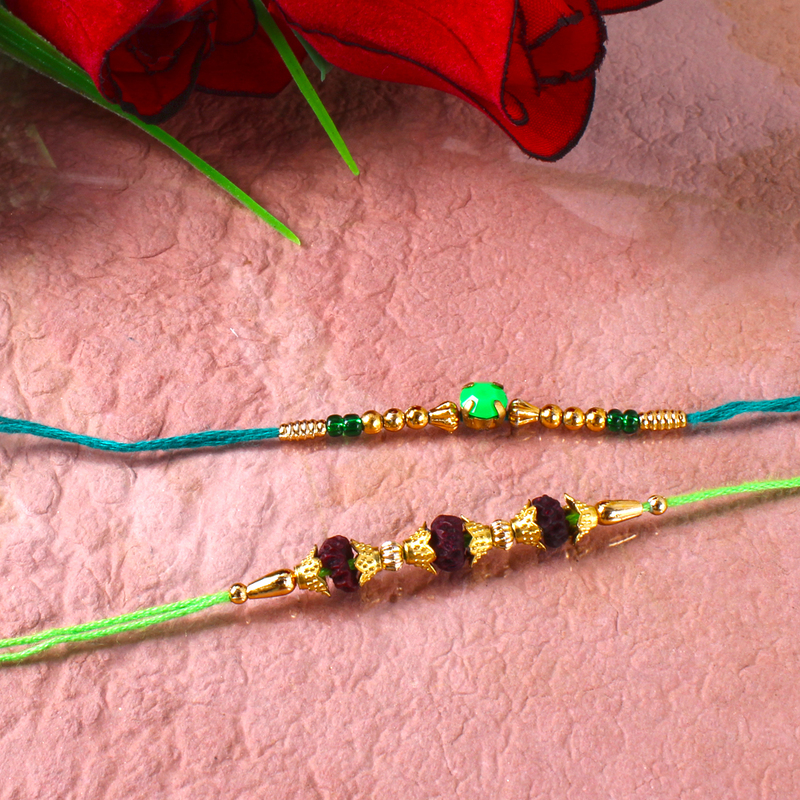 Also combine fancy style exclusive Rakhi for Your Brother s sure loves this Rakhi very much Set of two Rakhi includes: Packet of Roli Chawal with Traditional Rudraksh Rakhi with Fancy Style Rakhi. "